We’d love your help. 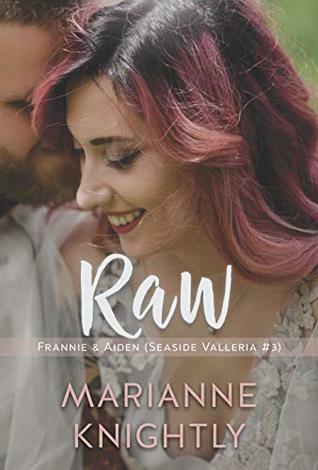 Let us know what’s wrong with this preview of Raw (Frannie & Aiden) by Marianne Knightly. Frannie has spent years searching for herself. She’s tried ten different names so far (because why should she be saddled with Frannie just because her parents chose it?) and her latest, Jasmine, just might stick. Despite her insecurities, she’s always been confident about her abi One kickass chef. To ask other readers questions about Raw (Frannie & Aiden), please sign up. Seaside Valleria book 3. Delightfully written. A story of identity, love and forgiveness. This is Frannie and Aiden story with plenty of drama and WTF moments. Passionate and angsty. The story was amazing. I love getting to learn more about each characters life.